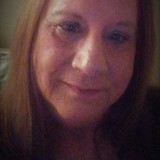 bailey412: looking for somone that would come over all hours and have fun no matter what is going on. looking for somone that would come over all hours and have fun no matter what is going on. im young and full of strength, I'm not shy so why should you be? lets watch Netflix, other fun things and cuddle all day. I want a girl more like woman that is not scared of new things or ideas!